Power Washing for Your Home! When your home begins to collect dirt, dust, and toxins from the environment, it can greatly reduce its strength and structure. Keep your home looking beautiful while maintaining its integrity with residential power washing in Waco and Temple, TX. Our professionals can complete all of your cleaning and removal projects including softwood washing and algae elimination. To learn more about our extensive list of comprehensive residential services, call our consultants at 254-716-8685. A complete and full inspection of the targeted area will precede our work on residential exteriors. We want to catch any cracks or flaws in the exterior to prevent additional damage throughout our cleaning process. To further ensure the high level of our service, we only use top-tier products from local partners, and make sure that our staff has the utmost degree of training and experience. These are the types of power washing services in Waco and Temple, TX that we can offer our residential clients. Whatever type of residential power washing you need, we are the professionals to call. You can contact our office anytime to set up an appointment or to get more information about this pressure washing service. We’ve all had those do-it-yourself projects that seemed so easy in the beginning, but then quickly turned into a nightmare that we wished we would’ve never started. Pressure washing is just that. While this project looks simple enough, many factors depend on a well cleaned, non-damaged finished product. Psi, along with spray size and vicinity, can drastically change your end results, leaving an unclean surface or holes and marks on the surface. 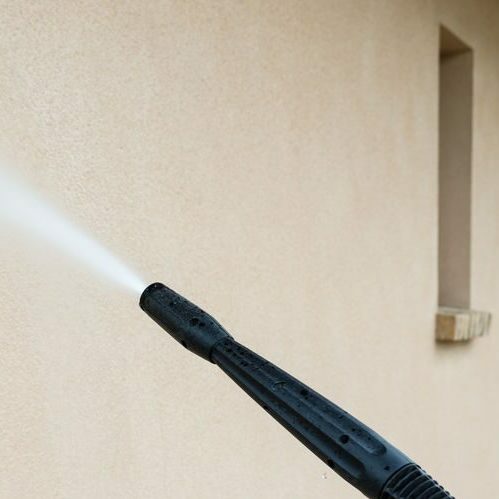 Our professional team is experienced and knowledgeable in power washing procedure for any material and can complete your job without causing damage. Don’t let your home fall victim to a dingy exterior. Clean it up with our professional residential power washing, offered in Waco and Temple, TX. Call our experts today at 254-716-8685 to set up your appointment. Updated on March 19, 2019 at 4:09 pm by eSquared Asphalt Maintenance.